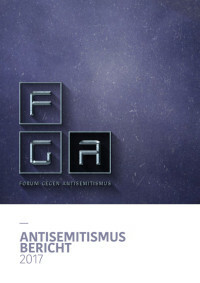 Im aktuellen Antisemitismusbericht dokumentiert das Forum gegen Antisemitismus (FgA) für das Jahr 2017 insgesamt 503 antisemitische Vorfälle – der höchste Wert seit Beginn der Aufzeichnungen! FgA documented a total of 503 anti-Semitic incidents in 2017 - the highest value since records began. Over a period of three years, the total number of reported incidents has almost doubled. About 24% of all attributable cases can be attributed to a right-wing background, 10% to an Islamic background and 3% to a left-leaning background.